People who are tired make mistakes, sometimes huge costly, fatal mistakes. Fatigue-o-meter is a computerized assessment that compares a person's current level of mental alertness against his personal baseline performance. The system knows what the candidate's typical alertness levels look like, and can immediately detect a drop in performance. A Fatigue-o-meter assessment takes approximately 1 minute to complete. The result is available immediately. In addition the results are automatically added to your reference norm group as well as to the individual's personal norm. In this way the system systematically builds up an increasingly accurate profile for each individual, making it more and more accurate over time. By testing for alcohol or drugs, you can only eliminate drowsiness or lack of alertness associated with these factors. Fatigue-o-meter can detect anomalous performance, regardless of the underlying cause. 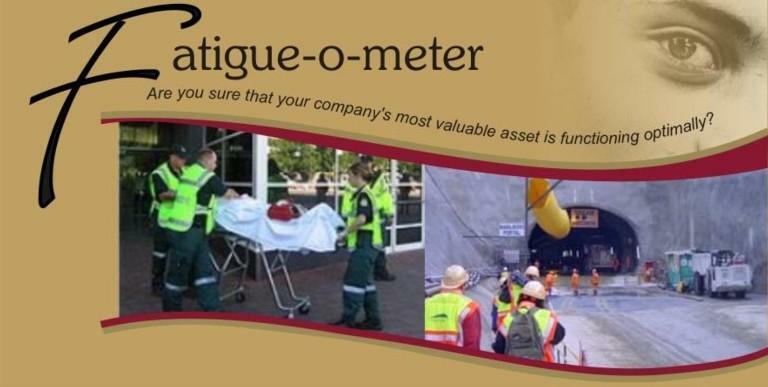 If safety is a non-negotiable in your organisation, then no employee involved in risky work should ever go on shift without first being assessed on Fatigue-o-meter.